Metropolitan Magistrate Lovleen on Thursday refused to permit Delhi Police to collect voice samples of Mr. Umar Khalid and Mr. Anirban Bhattacharya, two of the five JNU students accused of sedition in connection with an event organized in JNU against the hanging of Parliament attack convict Afzal Guru. 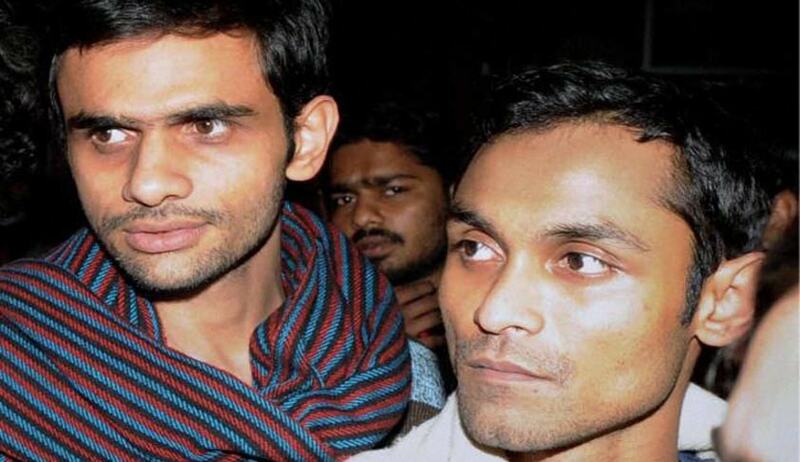 The duo returned to the University on Sunday night, after they had gone missing from the campus since February 12 after JNUSU President Kanhaiya Kumar was arrested in the sedition case. The two accused were last night sent to three days police remand at the South Campus Police Station near JNU which was turned into a makeshift court room following an order of the Delhi High Court to “maintain confidentiality” during their remand proceedings. Delhi High Court yesterday adjourned the hearing of bail application filed by JNU Students Union leader Kanhaiya Kumar to 29th of this month. The decision came after the Court was informed by Delhi Police that they will file fresh remand application since two more accused persons in the case have been arrested. Delhi Police submitted that Kanhaiya Kumar’s remand is required to confront him with other accused in the case. The Court had expressed concern over the safety of Kanhaiya Kumar, stating, “We have to ensure that they do not even suffer a scratch”. You may read the LiveLaw article here. This was in view of the Patiala House Courts incident, when at least ten journalists and several students were assaulted by lawyers and a Delhi BJP MLA inside and outside the Court premises. The Court had also directed the police to ensure security of Mr. Khalid and Mr. Bhattacharya, who surrendered yesterday, after they were refused interim protection from arrest. “You can’t use your whim and fancy. You have to follow the procedure, surrender or arrest. You have to be produced before a magistrate and he will decide whether you go into police custody or jail,” Justice Pratibha Rani was quoted as saying. You may read the LiveLaw article here.